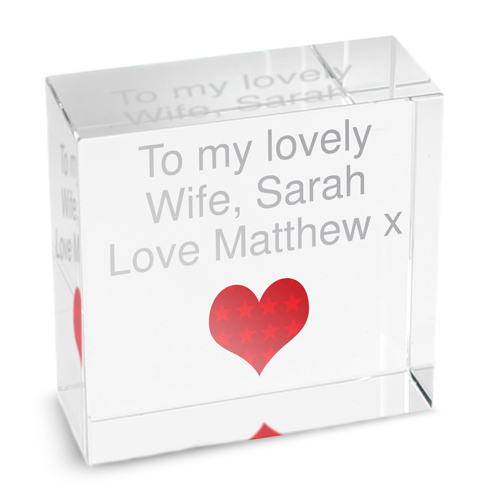 Personalise this Small Red Heart Crystal Block with any message over 3 lines up to 15 characters per line. Crystal token will come presented in a black gift box. Personalise with any message over 3 lines up to 15 characters per line.